Many reservations for installing Changing Places facilities surround limitations in space, particularly in historical and completed buildings. Maintaining focus on purely internal adaptations can really limit what is possible and even halt such a project all together. But when we think a little outside the box, the solution becomes obvious – taking Changing Places literally outside! Installing Changing Places in pre-fabricated modular units can be, and has been, a fantastic means including Changing Places toilets in places where there isn’t a suitable space to install one inside of a building. 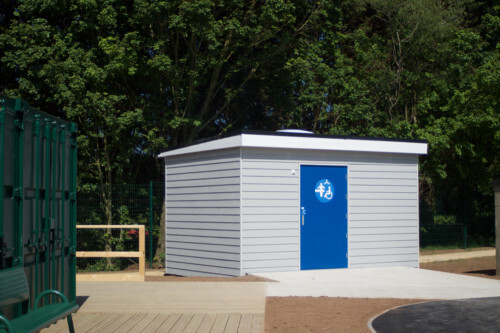 It also provides the benefits of minimising any disruption to the existing buildings, as the installation of equipment is completed off-site; our modular facilities are delivered and lifted into position fully finished. Many internal Changing Places must compromise on size slightly, due to restrictions in the space available in completed buildings, coming slightly under the 12m2 optimum. Modular Changing Places are always guaranteed to provide 12m2 of internal floorspace to ensure the smoothest user experience. Likewise, with the ceiling height the Modular will be built as standard to afford 2.4m minimum – the recommended and ideal ceiling height for ceiling hoists – where an internal Changing Places may be restricted to significantly lower, or even in some case very high ceilings. The modular Changing Places can be tailored to meet specific tastes both inside and out. The internal aesthetics are offered in a variety of colours and many toilets liven their spaces up with feature or mural walls. Externally, the shell can be clad in materials complementary to existing buildings and be as overt or discreet as you would like. Our partnership with iHUS ensures you can receive the variety of OpeMed equipment with the carefully crafted modular units iHUS specialise in; resulting in a unique stand-alone unit that can be designed to suit your business. A Changing Places is an investment, and the modular version is a clever alternative should you ever be required to move your business to another location; the modular future-proofs the need to remove and re-install a Changing Places on another site, as it can simply travel along with you and your business to be placed at the new site. 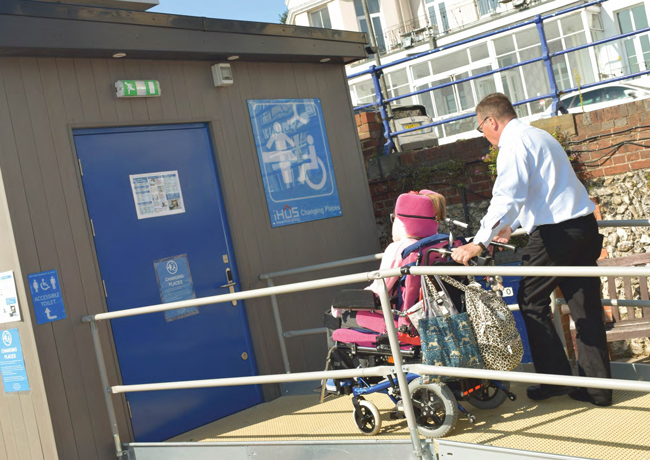 They can also ensure that for years to come, the standalone facility is easy to find and access for those that need to use them; they are highly visible and easy to access via a ramp and flat ground compared to internal toilets that may be more hidden and require navigating lifts and other obstacles to reach. As a result, they have a higher footfall and help attract more customers. 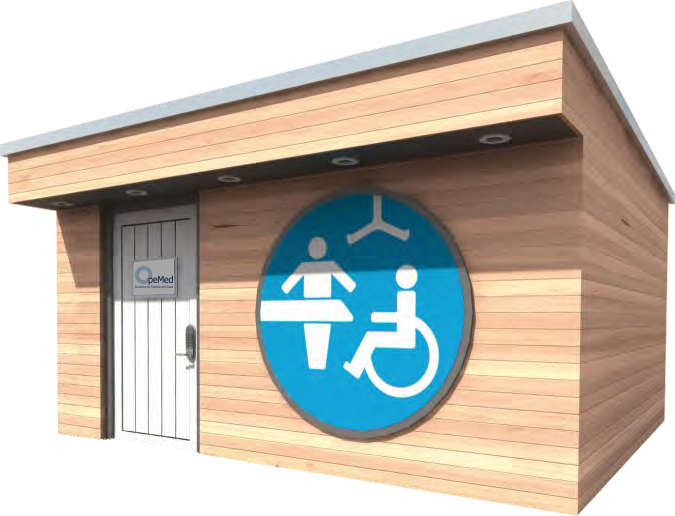 If you would like to contact us and discuss a modular Changing Places solution for your business please feel free to telephone us on 01252 758 858 or email info@opemed.net. We look forward to hearing from you.